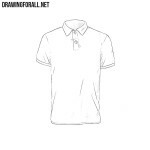 As you probably know, we really like different kinds of sports, especially boxing. 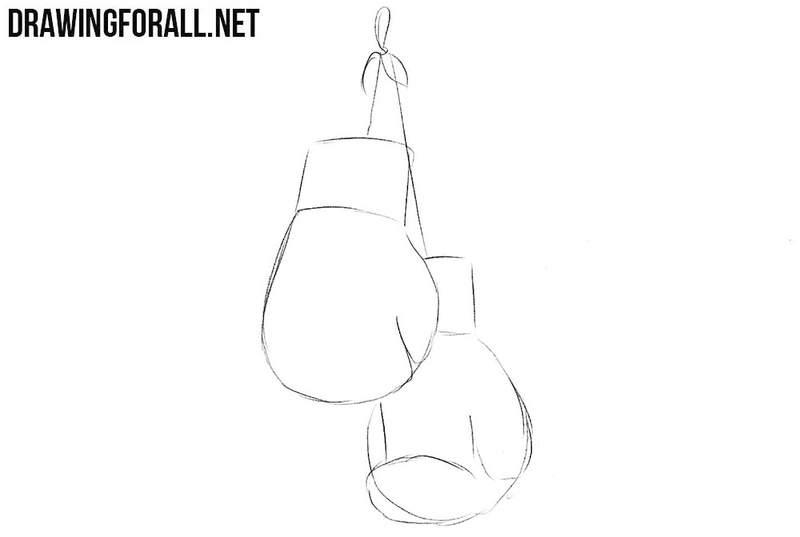 In one of our previous lessons, the team of our artists was already drawing a punching bag. This lesson will continue the subject of boxing trainings, and will be dedicated to how to draw boxing gloves. 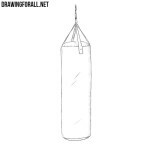 Boxing gloves are very round and bulky, and we need to display this in our drawing. So we sketch two circles and two rectangles above the circles. 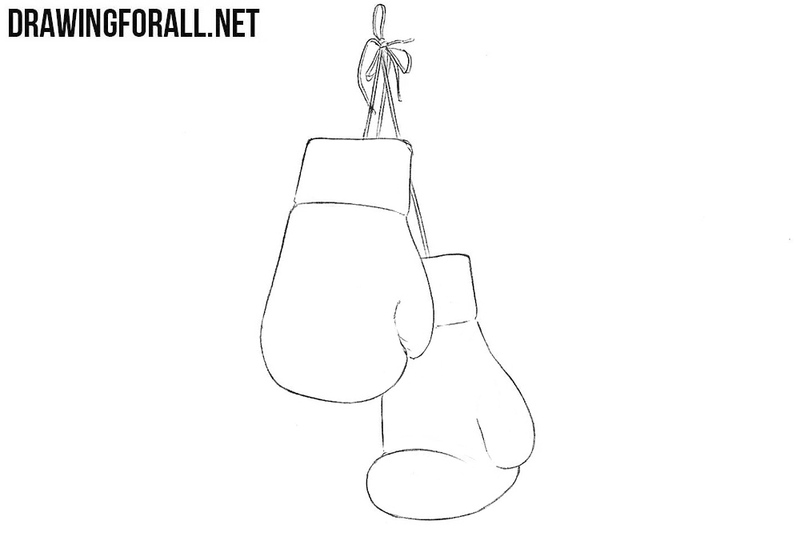 Let’s make the geometric figures more similar to real boxing gloves.Draw the outlines of gloves and separate the thumbs. 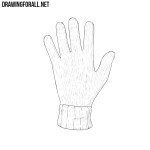 In the upper part sketch out lacing, on which gloves are hung..
Now we need to accurately draw out the gloves with clear and dark lines, making the drawing clean and neat. 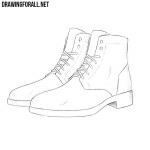 Do not forget to make the lacing thicker. 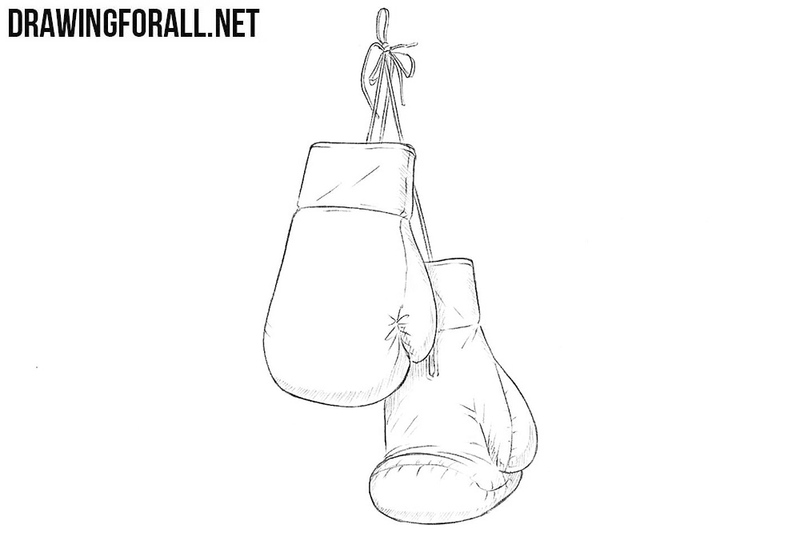 Here we will take care of the details of boxing gloves. 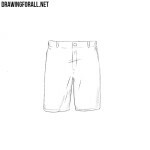 Draw the necessary seams and folds. On the inside of the glove draw a visible part of the opening for the hand. We have only to add some shadows, taking into account the angle of incidence of light and and least-lit areas. 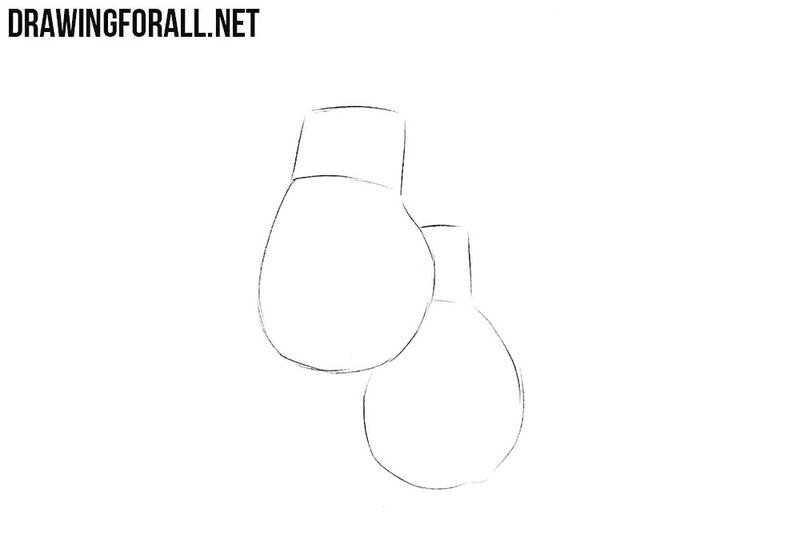 The lesson on how to draw boxing gloves was made in the most detail. 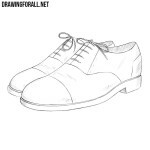 Our artists have tried to decompose the lesson into several proportional and very easy steps, to achieve clarity and ease of the drawing process.